Home Crafts Felt Flowers – How to Make Your Own! Learn how to make felt flowers using a simple free template! If you prefer a smaller template, check out this free printable felt flower template, otherwise, continue on for the video and tutorial. I love felt flowers for a few reasons: they tend to be more durable than paper flowers (you can find paper flower templates here.) 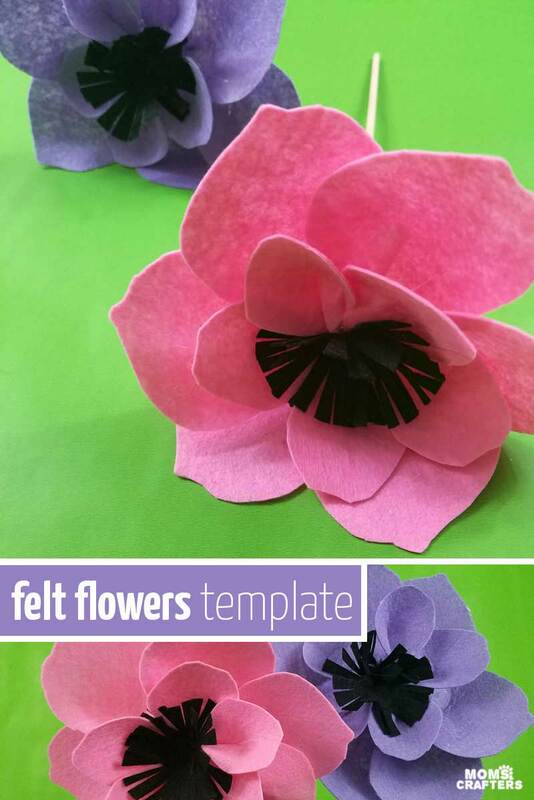 Using a template to make your own is the perfect way to learn, and once you do, you’ll be able to make your own felt flower templates! I originally created this tutorial for Beyond the Balagan for the Jewish holiday of Shavuot where homes are traditionally decorated with florals, to commemorate Mt. Sinai which became beautiful with flowers and greenery in honor of it having been chosen as the site where the Torah was handed down to us by Moses. Since felt flowers are beautiful for anyone to create all year round, I figured it’s worth sharing here too, along with a bonus video so that you can see it in action! 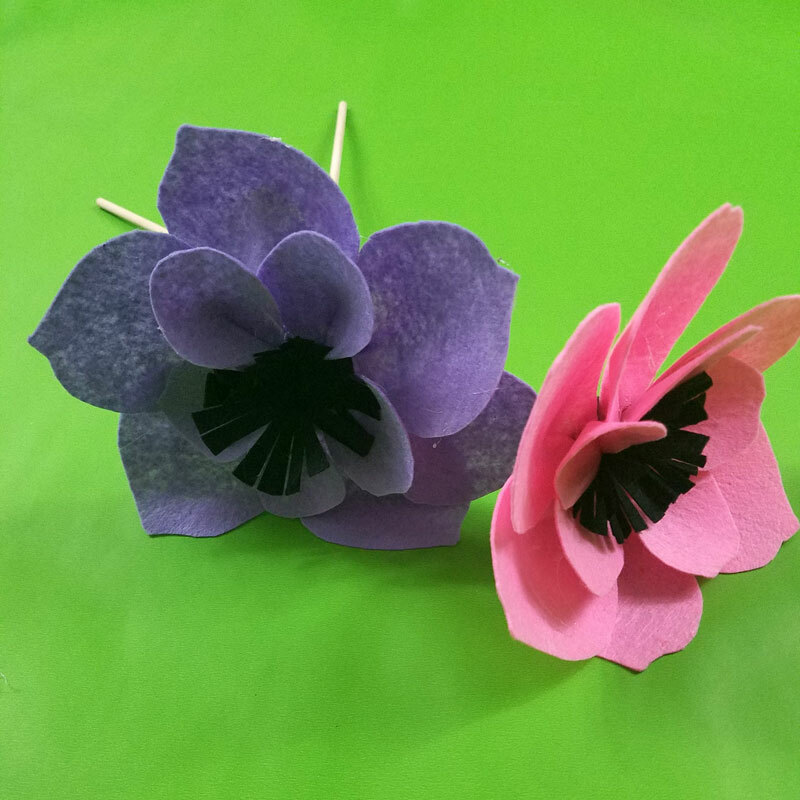 These simple felt flowers can be made by teens and tweens, however since it uses a hot glue gun, you might want to avoid doing it with kids – or give it a go with a kid-safe alternative. They can be placed in a vase with filler year-round, turned into brooches using a flat pad safety pin, glued to the tops of pens, or turned into whatever you’d like. Enjoy! You can see a step-by-step photo tutorial as well as tips (I highly recommend you read them) right here. Download your template here as well! Download the free template for your felt flowers and read the instructions right here on Beyond the Balagan! Make your own Paper Heliconia flowers! Give these flower crafts for teens a go. You can color your own paper flower templates if you want to be really creative. Crafts for Adults, Crafts for moms, Crafts for Teens, Felt and Fiber Crafts, Free Printables, Holiday and Seasonal crafts, Medium, More printables, Spring crafts, Tweens/Teens. Bookmark.